Are you a blogger who is looking for the easiest way to make money from your blog’s traffic ? Or are you an advertiser who’s looking for cheapest way to get more exposure to your brand and products? Well, there’s a great platform for both advertisers and publishers which is Adsterra. Adsterra is a premium advertising network which is serving over 10 billion geo-targeted ad impressions per month. It’s also a publishing platform for bloggers and web masters who want to earn money by placing their ads. Adsterra was launched in 2013 and since then it has grown to a large extent. Just look at the numbers below to know its popularity. All in all, If you’re looking for a better alternative to AdSense, Adsterra is a great choice. It is also a great platform for people who want to advertise their ads to reach a wider audience. Here’s how you can make money from your website’s traffic using Adsterra. Here are few things you need to get approved from Adsterra publishing platform. 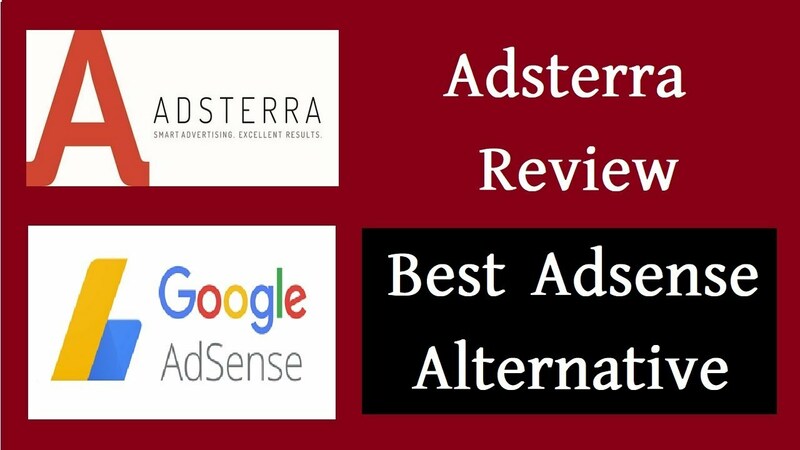 Without further ado, let’s discuss about the Adsterra review so you can find what it can offer you either as a publisher or advertiser. The #1 reason why you need to consider Adsterra over other publishing platforms to monetize your sites is this: it provides you a ton of flexible options to monetize your traffic. If you’ve a popular Facebook page and want to use your fan engagement to monetize your efforts, you can easily do so with Adsterra. You can do the same thing with a website or blog. That’s the beauty of using Adsterra to make money online. In a nutshell, you just need to place the code on your website, Facebook page or blog and make money every time visitor sees or clicks on the ad. It’s as simple as that. Not only you can earn instant income with Adsterra network but you will also get the industry highest CPM rates. What is CPM rate, you may ask. Let me simplify it for you briefly. Cost per thousand (CPM) denotes the price of 1,000 ad impressions on a webpage. If a website publisher charges $1 CPM, that means an advertiser must pay $1 for every 1,000 impressions of its ad. Here’s where Adsterra pays the highest CPM rates to its publishers where you can monetize your every ad impression with 100% fill rates. Example: If you get 10,000 visitors per day and total of 20,000 page views, and you are getting CPM rates of $2 then your earning can be – 20000/1000 = 20 CPM x $2 = $40 per day. $40 a day i.e at an average $1200 a month from one single source like Adsterra is NOT a bad income at all. You just need to make sure that you have a high traffic website or Facebook page to earn more income every month. Adsterra offers a huge range of advertising options to help you earn more money from your visitors. Here are some of the popular ad formats offered by Adsterra. Popunder ads: These are the smart ads that usually appear hidden behind the main browser window and remain unnoticed until the main window is closed or minimized. These ads are so powerful and helps you earn maximum from your ads and Adsterra offers RETARGETING with popunder ads, you won’t not find it anywhere but at Adsterra. Skyscraper ads: These are the evergreen ad formats which are perfect as an AdSense alternative and comes at a size of 160×300, 160×600 to give maximum visibility to your ads. Direct links: You don’t need to create banners or other promo materials. There is a link which is placed on any placement of publisher: banners, texts, videos etc. These directly links are sub-type of popunder ads. Display banners: Unlike text-based ads, display ads rely on images, audio and videos to communicate various ads. Not only you can show ads for desktop users but you can also monetize your mobile based visitors because Adsterra provides you both desktop and mobile friendly ad formats. Here’s how you can use Adsterra to set up ads in 3 simple steps. Adsterra also offers the most popular banner sizes: 160*600, 300*250, 728*90, 468*60, 800*440, 320*50. Adsterra uses retargeting to attract high quality advertisers to show ads your blogs, sites or Facebook pages. If you are wondering about what retargeting is all about, let me clarify about it briefly. Did you know that only 2 out of 100 of your website visitors convert on the first visit? Too less, isn’t it? Here’s where retargeting comes into play. It’s an effective way of reaching out to the remaining 98% of website visitors who don’t convert right away. Here’s how it basically works (designed by the team at Adsterra). Retargeting feature allows you to earn more money from Adsterra ads and you will attract highly relevant and quality advertisers to show ads on your sites. Basically, retargeting is a smart advertising feature that yields excellent results aka earnings. As I said throughout the post, Adsterra is NOT only limited to publishers but also for advertisers. Are you a marketer or product developer who is looking to increase your brand or product exposure? Adsterra can be your perfect choice. You will get instant access to 4000+ direct publishers with Adsterra advertising platform. Simply plan, launch, manage, and analyze your advertising campaigns to increase your online exposure. You can use this link to request a free consultation with Adsterra professionals to discuss about your advertising campaigns at a limited budget. The minimum deposit for advertisers is $100. So how to get started with Adsterra as an advertiser? As an advertiser to get your ads published, you need to start bidding. Adsterra basically offers various pricing models: CPM, CPA, CPL, CPO, CPI (PPI). CPM is considered as the most effective ad pricing model. 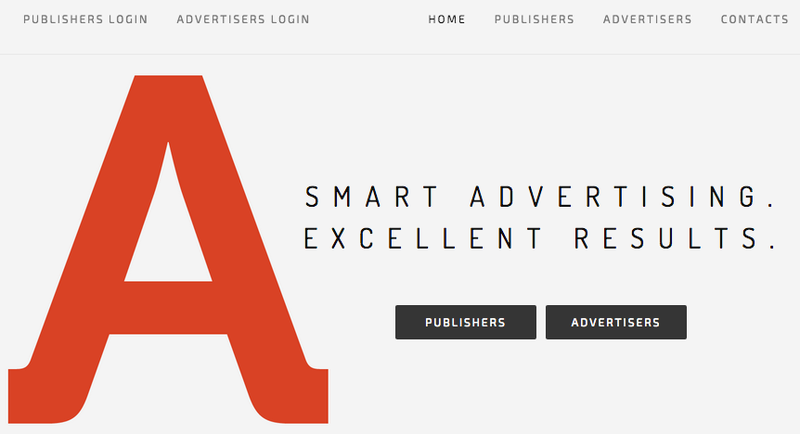 All Advertisers submit their bids to place ads on Adsterra publishing platform. The impression goes to the highest bidder and their ad is served on the publisher’s page (i.e blog, website or Facebook page). Have a look at the image below to know about Adsterra’s minimum bid pricing for popular ad formats. Once you have requested for a free consultation with Adsterra support team, you can make a deposit (the min. deposit is $100) right from your account using your credit card or via Paxum. To process payment via other systems such as Webmoney, Payza, ePayments, Bitcoin, wire, Payoneer, YandexMoney, you can contact your personal manager that comes upon your activation of account. Adsterra usually offers “exclusive retargeting” with popunder ads for both mobile and desktop users. This method will reach your target audience non aggressively but very effectively. You can also use display banners to showcase your ads using Adsterra ad platform. Here’s how a campaign looks like (where you need to create an ad for your business). See how simple it is to set up an ad campaign using Adsterra platform? Adsterra also offers SSP (Self Service Platform) to promote your business, app or product to reach wider audience online at a limited budget. I can’t wrap up a review without talking about its pros and cons and this Adsterra review post is no exception. Here are some of the pros and cons of Adsterra. It is one of the best Google AdSense alternatives. It offers both desktop and mobile ads (so you can increase your chance of earning more money from your website’s traffic). It provides a wide rage of ad display options: display banners, pop under ads, interstitials, text ads, slider ads etc. You can also monetize your popular Facebook pages (with high traffic) unlike AdSense. Adsterra offers a wide range of payment options: Bitcoin, Paypal, Payza, Wire transfer, Webmoney, Paxum, Skrill and ePayments. All in all, it’s a great choice if your site gets high traffic from search engines and if you’re a new site owner, you should first try to increase your search traffic before giving it a try. If you’re an advertiser, Adsterra can give you the most effective ad formats to reach out to wider audience with a limited budget and their retargeting feature helps you connect with more customers within your industry. It’s not suitable for sites with limited amount of traffic. Their minimum payment amount is $100. That means, only after earning $100 from clicks, you’ll get the money to your account. How do I start using Adsterra to earn money from my site? Firstly, you need to register from here as a publisher. It usually takes up to 48 hours to know your account status. If you want to become an advertiser, you need to bid for impressions. You can get a free consultation as an advertiser using this link. When can I get paid? What’s the minimum payout limit? The great thing about using Adsterra is that you can get paid every two weeks and it has a wide range of payment options. You need to have at least $100 in your Adsterra account to withdraw your money to your bank account. Every login account comes with the contact details of your personal account manager along with his business email so you can contact him whenever you need any help about Adsterra. You can also raise tickets to get solutions related to your account issues. Launched in 2013, Adsterra is one of the fastest growing CPM advertising networks in the world. Not only it offers a wide range of ad formats but it also gives you highest CPM rates to help you earn more money from your visitors. If you are looking for the easiest and effective publishing platform to show ads on your site, blog or Facebook pages, Adsterra is the right choice for you. So what do you think about this Adsterra review? Did you like it? Are you going to give a try to it to start earning instant income from your visitors? Do you have any questions? Do let me know in the comments.